As Living Room we organise parties in small venues, preferably in or near Mechelen, our hometown, where you can meet new people, hear new music or just socialize. After our first parties we realized that people liked what we did and gave us the strength to go on and get bigger. The crew grew and the amount of visitors at the parties went up. Eventually we transformed from small events to bigger venues. With that the concept changed. Love for music is the glue between these musicjunkies. Started as a breakdancer at the age of 13, oldschool rap and Dubreggae touched his strings back in the days. Got inspired as a hiphopproducer, but always kept the love for electronic music. Sika played at some nice venues: Moonbass Festival, Brasserie Midi Station (Bxl), Canela Café (Lajares, Fuerteventura), La Rocca (Lier), Carre (Willebroek), Long Play Bar (Mechelen), Oscarpelouza Festival and a dozen underground parties. Let Sika take you on a journey of sounds, lose yourselve in the music. Get inspired to forget everything around you, even if it was only for a couple of moments. This is his sound, his language, a language understood by all, a language that touches you. Styles: Deep Dark Techno & Techhouse. Resident DJ @ Fnoob Techno Radio. Started clubbing at the age of 13 and immediately the electronic music microbe took over his being. 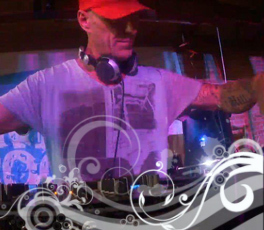 Behind the decks for more than 20 years. In the late nineties Benn-x played some big events in Mechelen. These days you can hear him all around, he was resident in Kokaboura, played at Brasserie Midi Station (Bxl), Club Zazou (Lier), La Rocca (Lier), Oscarpelouza Festival and several parties like 'Analogue Bubblebath' and 'Fish In Space'. Styles: Deep Dark Techno, Techhouse & Deephouse. Inspired, when working at the BCM records shop in Mechelen, by the early nineties underground house and techno records, Marcos started very soon to dj at different big parties and became resident dj in, amongst others, Barocci, Oxygène, Club Scene, Techno Nation parties @ Silo. 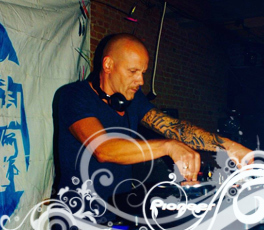 He became noticed by clubbers and other producers and was invited to remix Dave Clarck’s Red 1 for the Re-load label. Some further releases followed on Aquatic, Traction and Morse records. Marcos sound evolved over the past years and he is bringing a mixture of contemporary dance beats with timeless soundscapes. He has outgrown the early influences and created an individual interpretation of electronic tale-telling. The musically reborn Marcos will surely seduce the younger generations as well as the old skool techno adepts. 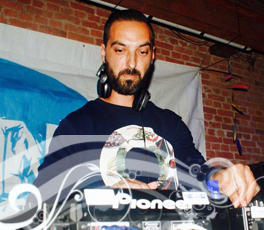 He brings dancefloor filling tracks which are highly listenable outside the clubs and parties. Mouse-over the pictures to visit social media. Take A Moment,... and Dance. Want to know what feel we bring into our sets, the tracks we pick? Click through to our Mix- or Soundcloudpages. Get in touch by completing the contactform beneath, we will contact you asap.